Sometimes treatment for some symptoms actually gives rise to other symptoms. These symptoms are called iatrogenic symptoms and reflect quite poorly on the physicians and clinics involved. As such, a focus in clinical biotechnology is to reduce iatrogenic symptoms. A study conducted by Washington University in St. Louis attempted to pinpoint the causes of iatrogenic symptoms after cancer treatment. Some cancer patients develop a type of leukemia called acute myeloid leukemia (AML) after chemotherapy and radiation therapy. The current clinical belief is that the cancer therapy damages genes and mutates them to propagate AML. Dr. Daniel Link of the WUSTL Siteman Cancer Center believes that this is a misconception derived from a lack of information. “Until now, we’ve really understood very little about therapy-related AML and why it is so difficult to treat,” he says in a recent WUSTL article. 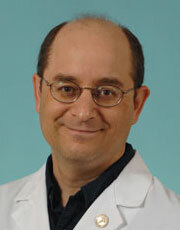 The team’s first findings came from sequencing the genome of the AML cells. 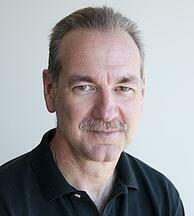 Link and the team discovered that the mutations that cause AML actually appear as part of the normal aging process. Most importantly, they found that cancer patients who did not receive chemotherapy or radiation therapy had similar numbers and types of AML as those who did receive such treatment. The ultimate conclusion of the study thus far is that AML is not, in fact, an iatrogenic disease. The team next wants to find out why cancer patients are more susceptible to this form of leukemia and what can be done to prevent it. In Link’s eyes, the important takeaway is to remember that genes do in fact change as we age. 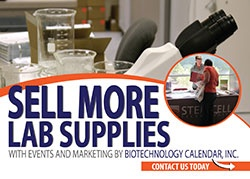 Biotechnology Calendar, Inc. will be visiting Washington University in St. Louis next on March 20th, 2015 for our St. Louis BioResearch Product Faire™ event, held annually on the WUSTL campus. This show is an excellent opportunity for life science scientists and laboratory equipment suppliers to network and discuss their research need and solutions. If you can’t make the St. Louis BioResearch Product Faire™ event, not to worry: you can check our 2015 show schedule for an upcoming show in your area.